creating beauty in their shared Liverpool home. riddled with intrigue and power struggles. 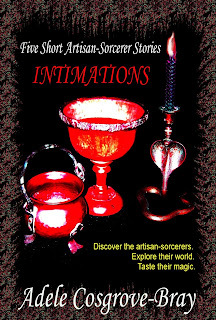 Can Morgan keep them safe in their turbulent world of dark magic? Two secret societies. Two very different men. Which will Tamsin choose? That a tiny minority of the Antiquarian Emporium's customers collect rare manuscripts on the occult is of no concern to Tamsin, who loves her job in the heart of Liverpool. Fabian sells his hand-made masks through the Emporium. But masks aren't the only things which hide a true identity. Can Tamsin survive the opposing factions within sinister cults? A tale of romance and danger. Choices and consequences. Vampires and ancient magic. Free Content: Book Club Questions. 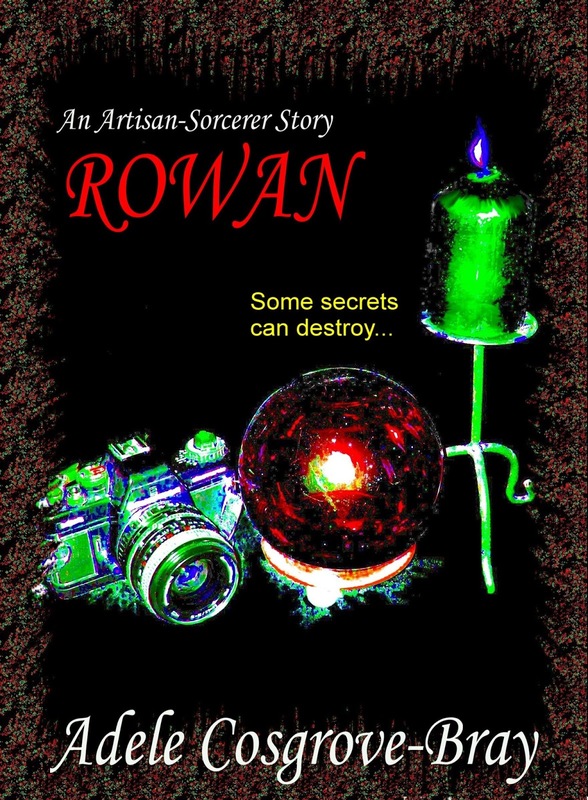 Free Content: Read the first chapter of Rowan. Rowan lives with secrets. His family know nothing of his life after his mother banished him from the family home. 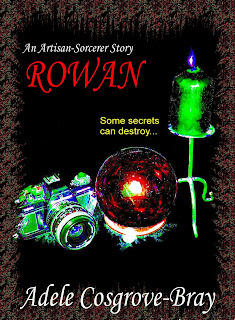 secretive community of Artisan-Sorcerers, blackmail threatens to destroy the new life Rowan has been building. People are dying - and Rowan is caught in the middle of a secret war. Free Content: Shell Boy, a short story featuring Rowan. Free Content: Read the first chapter of Bethany Rose. Widowed at sixteen, Bethany Rose faces huge challenges to build the life she wants. Terrified by encounters with a black-robed spectre she turns to Morgan. But their unexpected love could expose Bethany Rose to ruthless assassins who will stop at nothing to win power within a mysterious order of sorcerers. Bethany Rose and Morgan want to be together. But will love keep them apart? From the bustling metropolis of Nottingham to the wild beauty of Scotland's remote Knoydart peninsula, this haunting tale of selkies, ghosts, romance and ancient magic will draw you into the enchanting but dangerous world of the Artisan-Sorcerers. Free Content: Read the first chapter of Fabian. Five thrilling insights into the secretive lives of the Artisan-Sorcerers! and the Peacock King himself! Discover the people. Explore their world. Taste the magic. 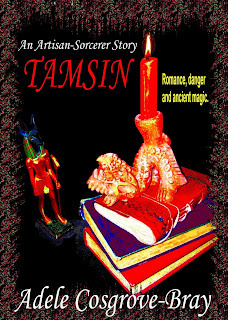 The Artisan-Sorcerer’s sanctuary is in danger. Fabian needs to discover the source of recent attacks but he’s an art teacher, not a detective. And the one Adept who might help insists Fabian resolves this crisis alone if he wishes to keep his rank within their secretive magical order. When the enigmatic Peacock King of the Caldy fae makes an offer beyond Fabian's wildest dreams, it could be a golden opportunity. Or it could invite disaster. From a Liverpool high school to a subterranean temple, Fabian navigates a spell-binding world of magic, mystery and murder as he races against time to save the Artisan-Sorcerers from being dragged into an ancient war between two powerful paranormal enemies. 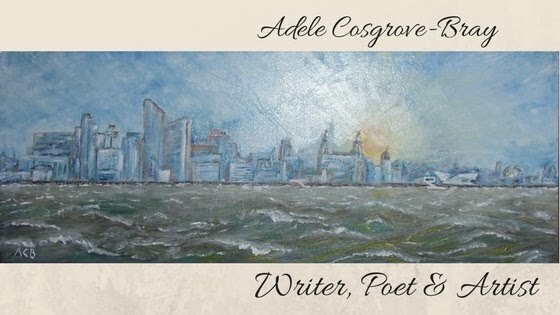 Free content: Stapledon Woods, a short story by Adele Cosgrove-Bray. Thanks for visiting my site, Angela. I'll be glad to take a look at your own site.